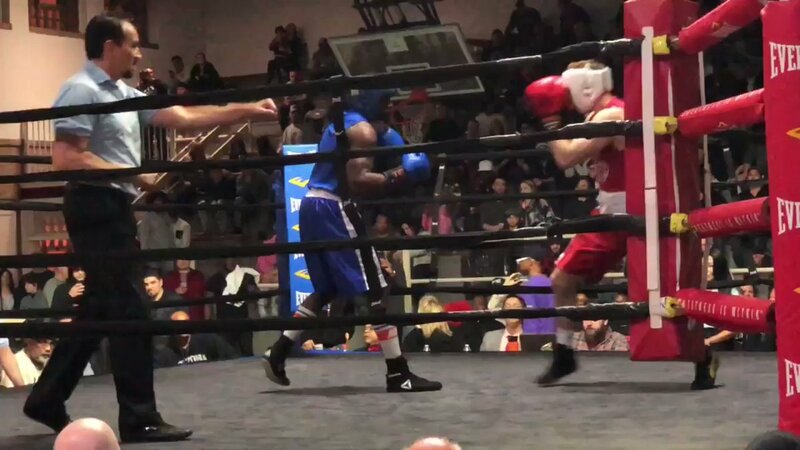 Abimbola “Abel” Osundairo, one of two brothers at the center of the high-profile alleged hate crime hoax involving Jussie Smollett, won his semifinal bout at the 2019 Chicago Golden Gloves Tournament at Cicero Stadium on March 21, 2019. He would go on to win his 178-pound division on April 12 by technical knockout. Abimbola “Abel” Osundairo won by technical knockout in the first round in the annual Chicago Golden Gloves boxing competition held at Cicero Stadium. Tonight was all about his win; he didn’t want to discuss anything else. Cheering him on — family, including his brother Ola who was never too far from his side, and Gloria Schmidt. Osundairo told me he was “nothing” without their support.